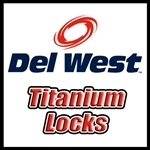 Del West is world famous for its custom titanium valve and other valve train component design and manufacture. 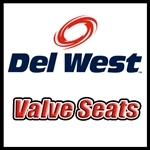 The majority of the engine manufacturers and engine builders in NASCAR and Formula 1 rely on the recognized expertise and unrivaled experience of Del West custom valves. 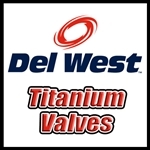 All of the Del West Titanium Valves are completely machined and precision ground from domestically traceable MIL-spec Ti-6242 vacuum arc triple melt titanium. All critical dimensions of the valves are controlled 100% for visual and dimensional aspects prior to shipment. Thermally sprayed coatings, developed at Del West, protect against wear on the stem and seat of the valves. The tip of the valve is protected by either a thermally sprayed HVOF or VCD/PVD coating, or the insertion of a steel tip. 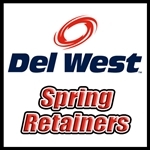 The lower mass of the Del West titanium valves (approximately 40% compared to steel), combined with the matching titanium locks and spring retainers, allows the use of more aggressive cam profiles without the loss of valve control. In turn, this provides broader torque curves with higher peak rpm and greater power. 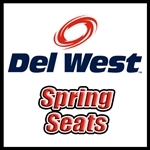 Del West Fast Track by Sold By SRI is the the new Del West custom valve line with 8 day turnaround and full CRN coatings on all valves. With no minimum orders, no order is too big or too small.